It’s Ground Hog’s Day. It’s also my Dad’s birthday and my Grandmother’s birthday. Dad would have been 91. He died at 89. My Grandmother would have been a lot older! She died at 90. Dad would eat cereal every morning with Soy Milk. 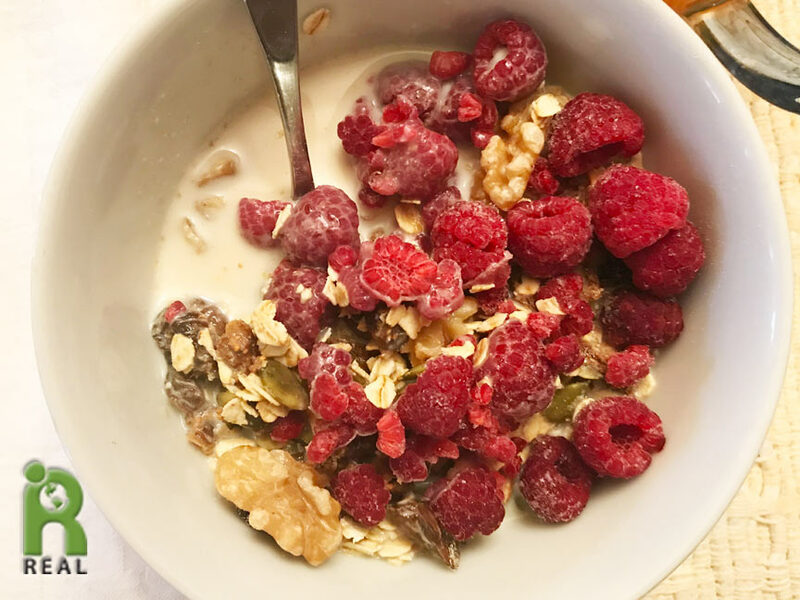 I had my organic Rolled Oats with Raspberries, organic Raisins, organic Walnuts and organic Soy Milk. If I had made this for him he would have enjoyed it. I got the Yellow Split Peas soaking last night. Today I rinsed them and got them cooking. 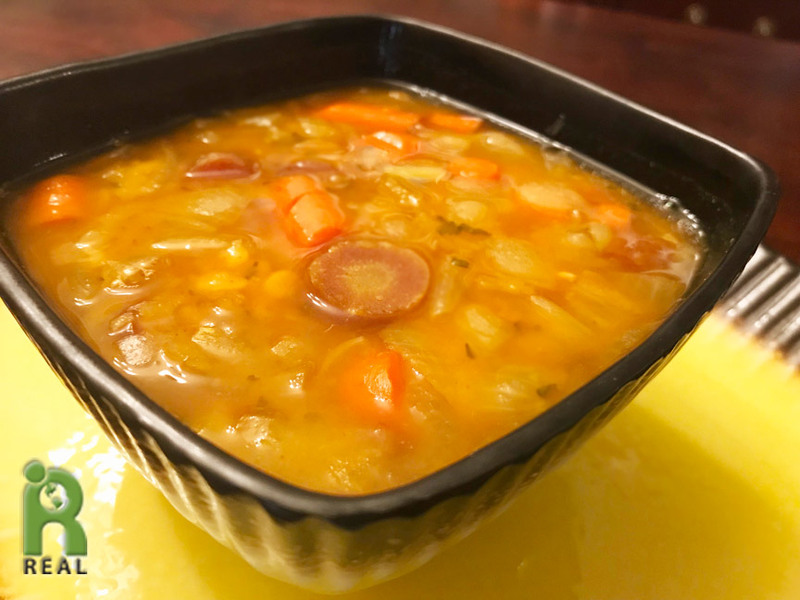 Some split peas cook quickly. Other don’t. I know some legumes that haven’t been stored properly or are old can take longer to cook. Is that why this variety takes so long or is just the nature of this bean? When they were soft I made soup, adding in Carrots, Onions and Spices. We’re having a party! That’s what Dad used to say, one of his many expressions. When we were kids he used to enjoy taking us out to Carvel for ice cream. He loved a hot fudge sundae. I remember the wet walnut topping at Carvel, an overly sweet syrup mixed with walnuts. I made this frozen treat in honor of Dad’s birthday. 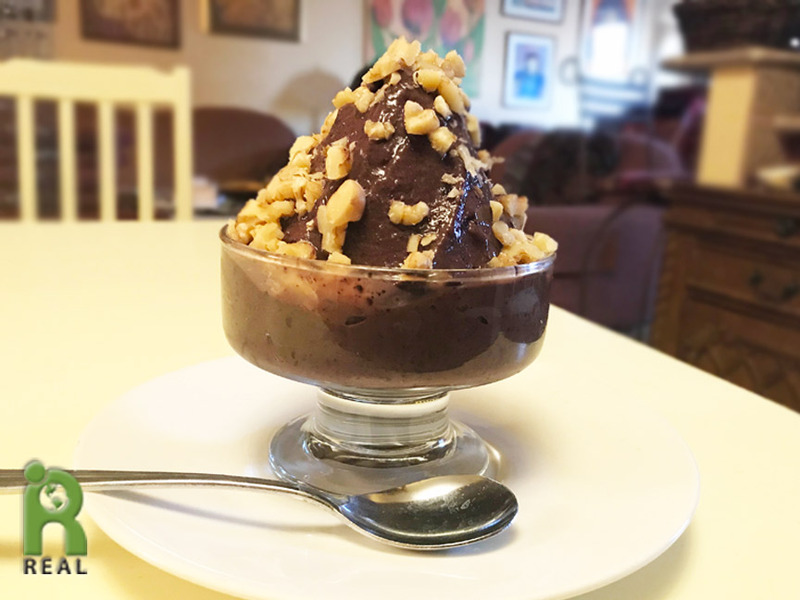 I blended organic Blueberries, organic Cocoa Powder, organic Banana and organic Soy Milk to make the Ice Cream and topped it with chopped Walnuts. I’m having a party! Happy Birthday Dad. We all miss you. Every day we must eat Salad! It was getting late but I had to have one. 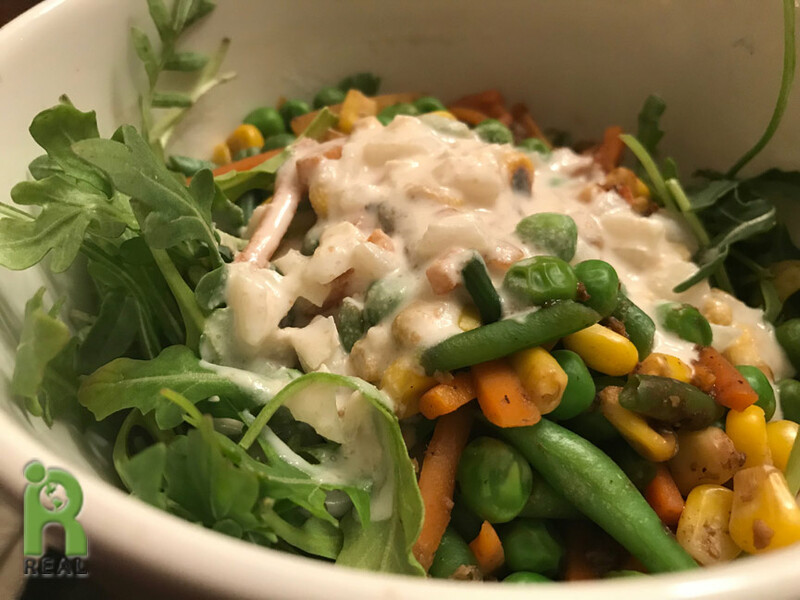 I made a big organic Arugula Salad topped with warmed organic Veggies and organic Tahini Dressing.